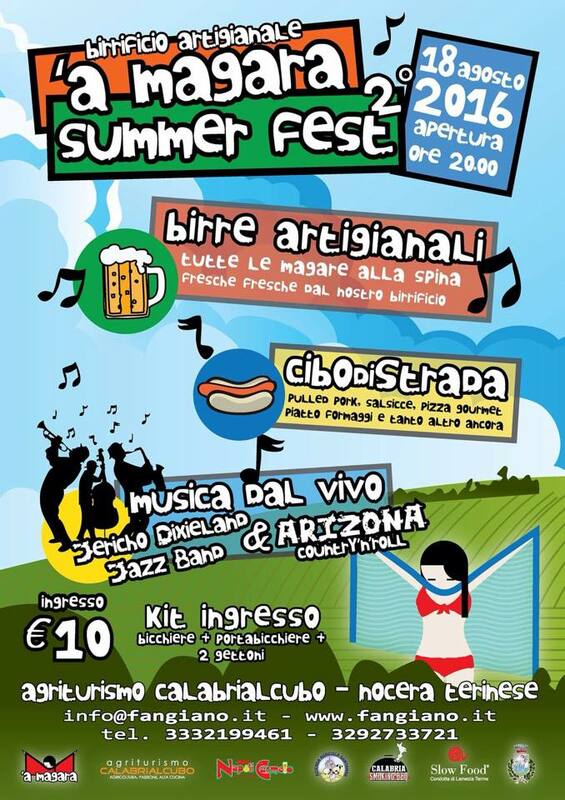 After the great success of the first edition, this calabrian bewitched brewery repeats the second edition of the Beer fest of the summer! We are waiting for you on 18th of August, from h. 20:00, Il 18 Agosto, at “Calabrialcubo” Farm, to live together the ‘A MAGARA SUMMER FEST 2016 edition! ['A MAGARA BEERS]: all our fresh Magara beers on tap from our brewery! Click here to visit the event on Facebook!